With a spot in the ASUN Men’s Basketball Championship Final on the line, the No.1 FGCU men’s basketball team defeated No.5 Kennesaw State 74-62 to move one step closer to the NCAA Tournament. 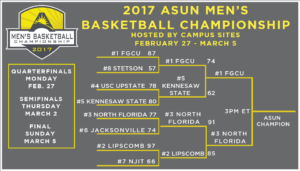 With the ASUN Men’s Basketball Championship crown and a spot in the NCAA tournament up for grabs, the Eagles will host No.3 UNF in the ASUN Men’s Basketball Championship Final at 3:00 p.m. at Alico Arena. 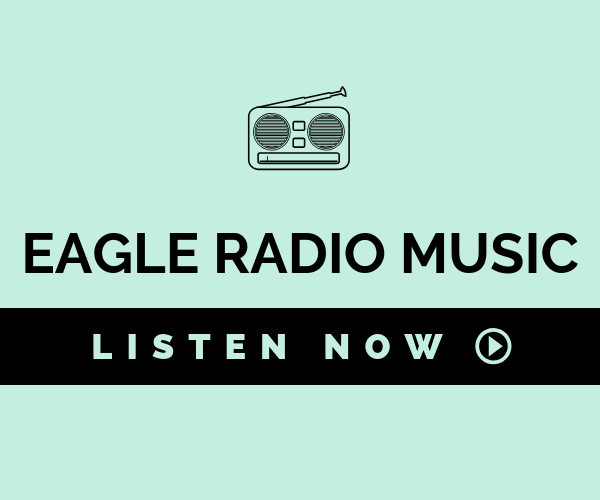 The 4,333 fans at Alico Arena were tuned in to another episode of the Brandon Goodwin and Demetris Morant show, as the duo combined for 42 of the Eagles 74 points in FGCU’s Semifinal victory. 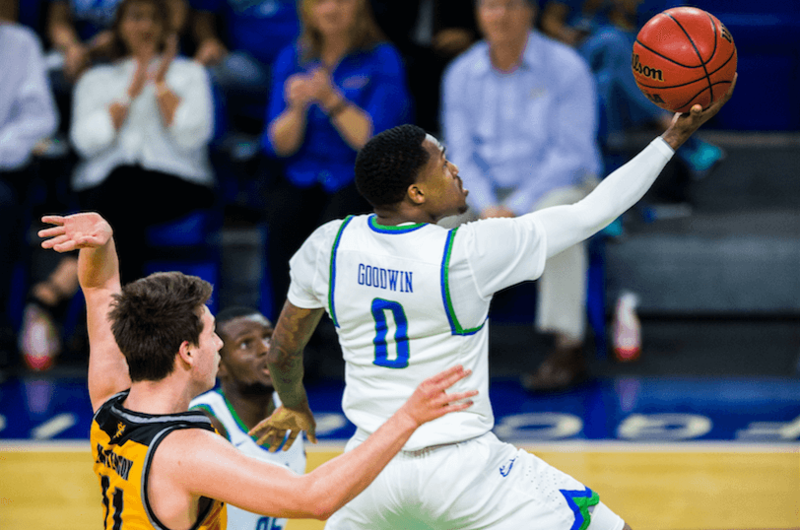 Setting an FGCU program record for points and field goals made in an ASUN tournament game, Goodwin lead the way on offense with 28 points, on 11-17 shooting from the clip. Attacking the lane the entire game to knock down high-percentage shots, Goodwin was the driving force in the Eagles 54-26 advantage in the paint. Going a perfect 6-6 from the field, Morant complemented Goodwin’s 28-point performance with 14 points and four rebounds. Making an appearance on the Goodwin and Morant show, Marc-Eddy Norelia notched his second-consecutive double-double with 10 points and 10 rebounds. Despite allowing the Eagles to find their rhythm early-on on offense and jump out to an early lead, strong play ASUN All-Conference member Kendrick Ray and occasional three-pointer here and there had the Owls within one, 20-19, with 8:30 remaining in the first. Highlighting FGCU’s five blocks on the defensive end, Rayjon Tucker rose up for a huge rejection to keep the Eagles ahead 27-24 with 3:31 left in the first. Fueled by Goodwin’s 12-point first half and 50 percent shooting from the clip, the Eagles entered the half up 34-31. Picking up right where he left off in the first half, Goodwin opened up the second half with four quick points before finding Morant for an emphatic slam. After Goodwin knocked down a three to put FGCU up by six, Tucker followed up Goodwin’s three with a three of his own to spark a 10-3 run for the Eagles, as they jumped out to a 52-39 lead. Continuing to split the lane and create high-percentage buckets, Goodwin threw down an emphatic tomahawk slam to put the exclamation point on his 13th 20-plus point game of the season. 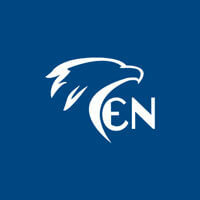 Following Norelia’s dunk that matched FGCU’S 2012-13 record of 148 dunks in a single season, Goodwin converted a left-handed layup to put the final nail in the coffin and secure the Eagles’ fifth trip to the ASUN Men’s Basketball Championship final in six years.